Inventor of the Laser Power Swing Trainer, Clinton Balgera; created the following advanced training guide for MLB player Eric Thames. *The following information is recommendations only, the Laser Power Swing Trainer, works for all swing methods; you can decide to swing the way you prefer. During the past ten years “big league” coaches and players have traditionally trained a top-hand dominant swing; most being right hand, right throw. Gearing up and looking for a mistake pitch, high in the zone. The problem is, sometimes pitchers don’t make mistakes. Traditionally, bottom-hand dominant hitters use a top-hand release follow through, hitting the low ball, however, struggling with contact closer to the body. We’re training to hit the hardest pitch types, up-and-in & down-and-away; everything in between will come naturally in the game. 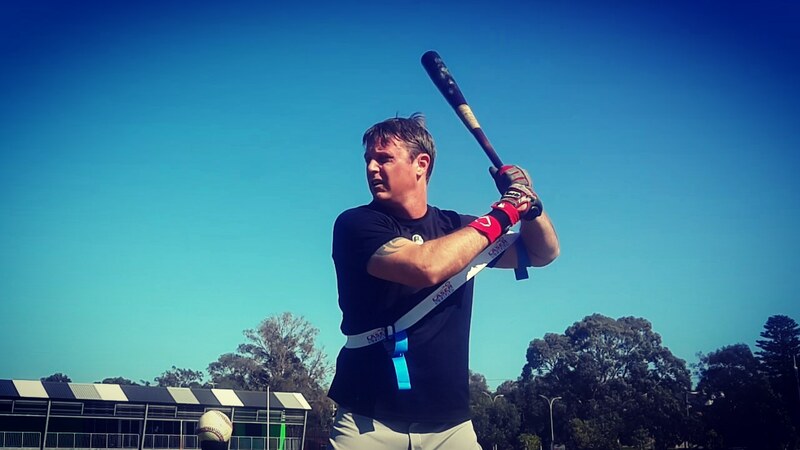 Our Multi-Swing Method trains your top-hand helping with contact closer to your body, and bottom-hand for an extreme extension toward the outside edge of home plate; allowing you to hit any pitch in any location. 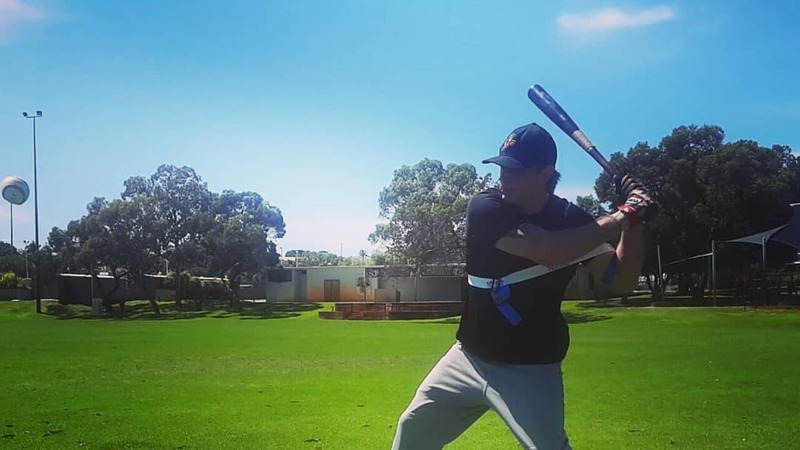 Players with experience are more likely to comprehend our advanced level Multi-Swing Method, working hand-in-hand with the Laser Power Swing Trainer. In summary, the Multi-Swing Method states your contact zone determines your mechanics. (a) Minimizing your batting stride and swing path, finishing with both hands on the bat for contact closer to your body. 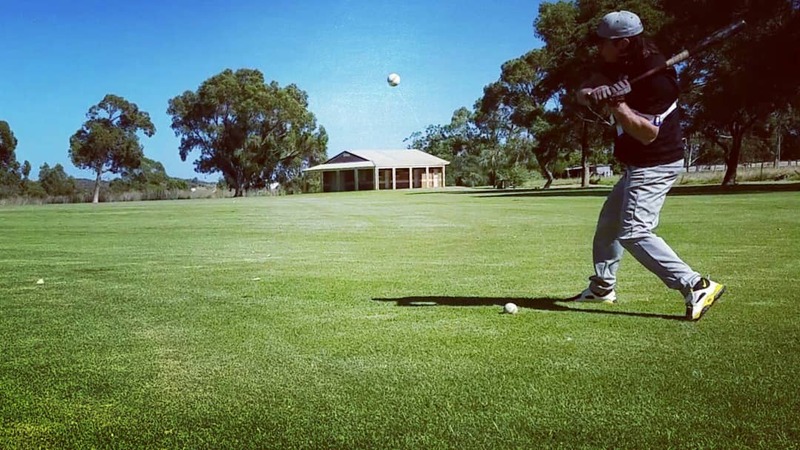 (b) Extending your stride and swing, using a top-hand release finish as you feel pressure on your rear shoulder for the extreme, low or extended locations. Once you get this motion down, you’ll see immediate results! Real world example, facing a 90+ mph funky delivery pitcher, tailing up-and-inside giving you limited time to react. Therefore your only chance to hit is to let it get deep and use your reflexes. 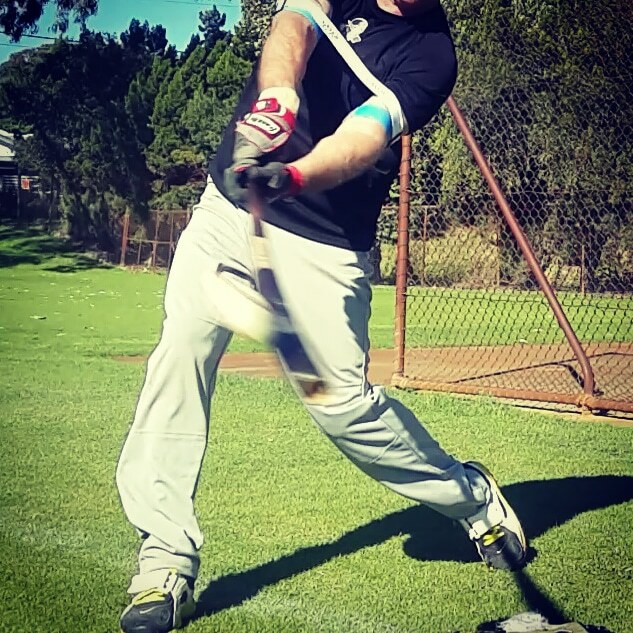 For Deep Contact drills, you are breaking down the explosion phase of your swing. Spread out in your batting stance, back elbow down, start your swing with a slow in turn of your front knee, swinging the bat with your hips, and turning your back foot from your hip joint; not from the ground up. Heavy bat top-hand side toss, is an excellent drill to practice this movement. In this case, we recommend you use a heavier bat, even shorten two to three inches on the bat. 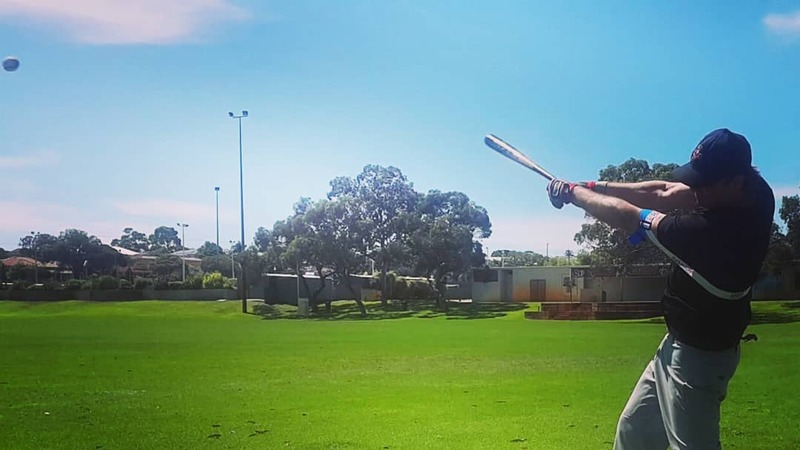 Look for something up in the zone and stay connected with your back elbow to the body, taking the heavy weight of the bat. Top-Hand Heavy Bat Side Toss is your money drill. Grip the bat with your top-hand only and whip it around your body like nunchucks, don’t lift on your follow through. 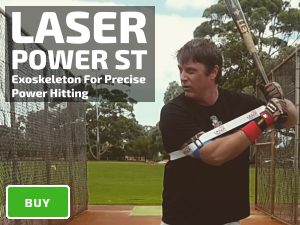 Laser Blast Front Toss with both arms inside, is our second favorite. You can even use it for coaches B.P and live hitting against teammates. If you have a problem with staying back this will fix it as you can’t reach out, you have to let it travel, keeping your “hands-inside-the-ball” using your hips to rotate your back leg to get your upper half into the best position to square up to the ball. Hit everything up the middle or alleys, keep your head down and don’t “muscle up” with your arms and shoulders, relax your grip and removing tension from your body. Advanced hitters can also hit the low and away pitch using a similar method, tilting at your waist to get lower to ground. Laser Whip, medium resistance; back-arm inside The Laser Power Swing Trainer. Real world example for a lefty hitter, facing an 85 mph right-handed pitcher who does not want to challenge up with his fastball, in this case, you’d see a few “down and away” changeups. 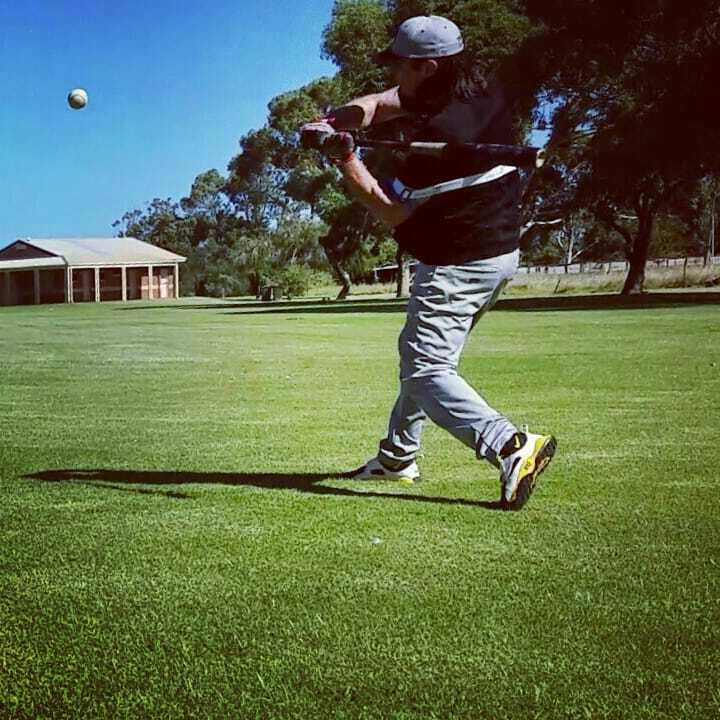 We recommend using a lighter bat, look for a pitch down in the zone and stay in your legs. 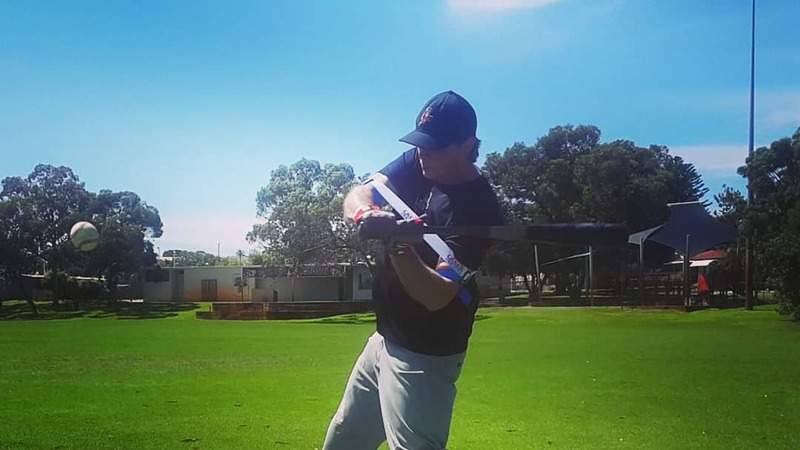 Low and slow front toss is your money drill, use a lighter bat to get the whip on the extended pitch, as your back elbow gets away from your body your arms take the weight, therefore, using a heavy bat with low and extended contact zone is not recommended. Make sure your head does not go beyond your center of gravity (check you’re not lunging). Release your top hand when you feel pressure on your rear shoulder, helping to reach the extremities of the outside edge while maintaining power.